Los Angeles isn't exactly known for chocolate, but we've got a few hot spots around town if you keep your eyes open. 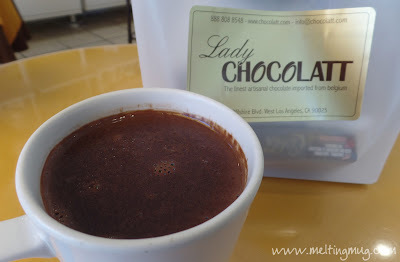 Lady Chocolatt is on Wilshire Blvd, and I'd driven by this place quite a few times before finally getting the chance to stop in. 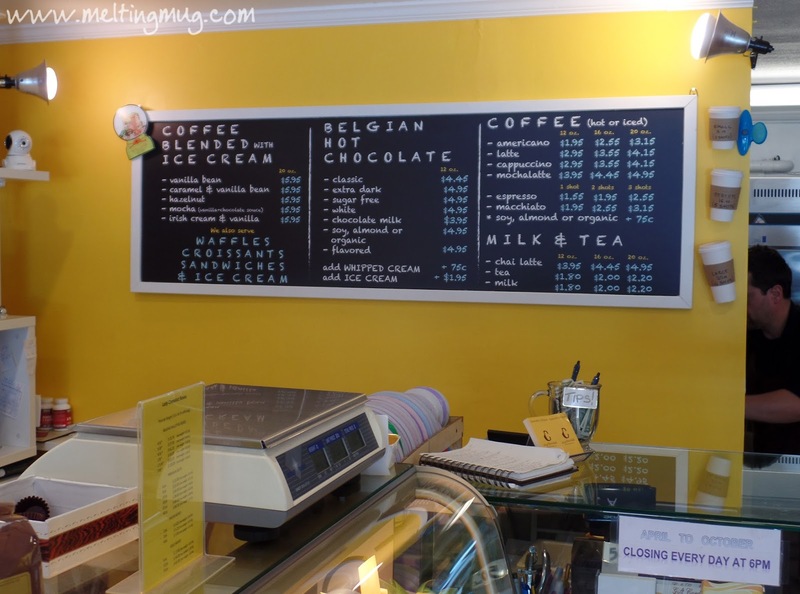 It's a small place, easy to miss, despite the vivid yellow storefront. On a nice, relaxing Saturday afternoon, my wife and I happened to be in the area, so we stopped in. It's a cute, small place, very bright and clean inside. Everything is painted that pleasant yellow color, and the shelves were perfectly stocked. They have a nice selection of artisanal chocolate bars, as well as all the crafted chocolates in the display case. Walking in, I was immediately excited by the menu! Check it out - there's just as much drinking chocolate as there is coffee! That's rare to find! We spoke with the owner, who served us our chocolate candies and my drinking chocolate. 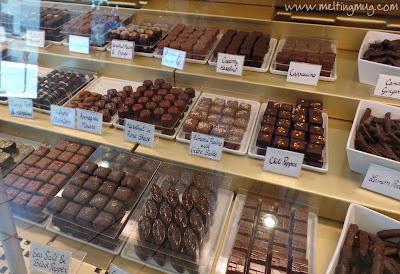 He also explained to us that Lady Chocolatt only uses imported Belgian chocolate in all their products. The place is just filled with truffles. It's always hard for me to pick in these situations where so many look so good. 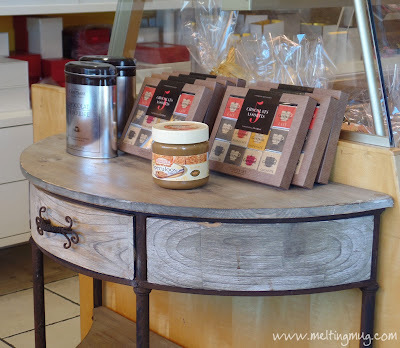 I picked out an orange peel hazelnut, and when I mentioned I had a chocolate blog, the owner gave me the creamy hazelnut, saying it was their best one. Orange peel hazelnut was great! The orange was subtle, but really nice. All the flavors were present and discernible. The creamy hazelnut was also great, very smooth and creamy. In comparison, eating the hazelnut truffle second made the orange stand out more in the first truffle. The hazelnut is a really great truffle, I can see why it's their signature one. It's hard to decide which was better when both were amazing. As for the drinking chocolate, I ordered the extra dark. 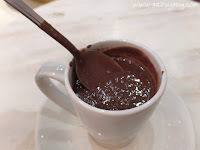 It was very thick and rich, very dark chocolatey. 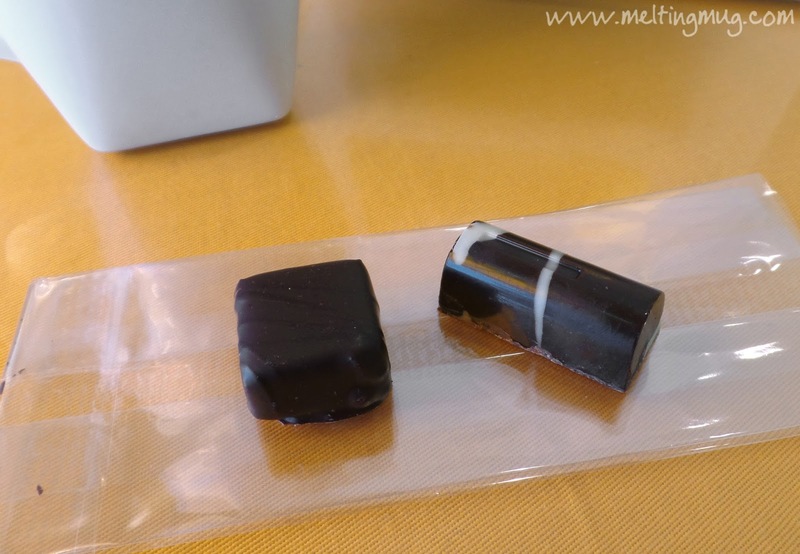 The owner told me it was a 72% chocolate, a ganache made with a mixture of heavy cream and water. This drink wasn't sweet at all, which was nice, it made it taste more like an 80%. 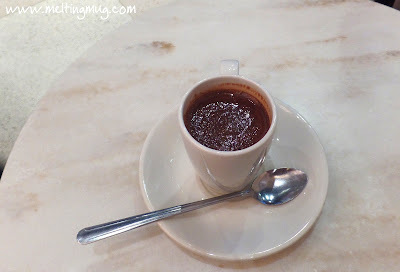 Also, after eating the sweet truffles, this drink almost seemed more like a coffee than a typical sweet hot chocolate. Really great drinking chocolate, definitely on my Top 10 list of LA hot chocolates. 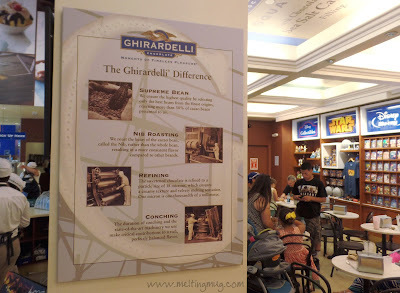 I'm excited to return and try more of the flavors and learn a bit more about the chocolate used in the drinks. 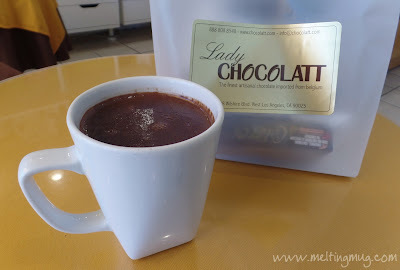 If you swing by Lady Chocolatt, be sure and tell them you read about them on Melting Mug! Last summer my wife and I got away for a weekend to Santa Barbara, CA. Santa Barbara is a gorgeous little beachfront town, and it always feels like vacation there. 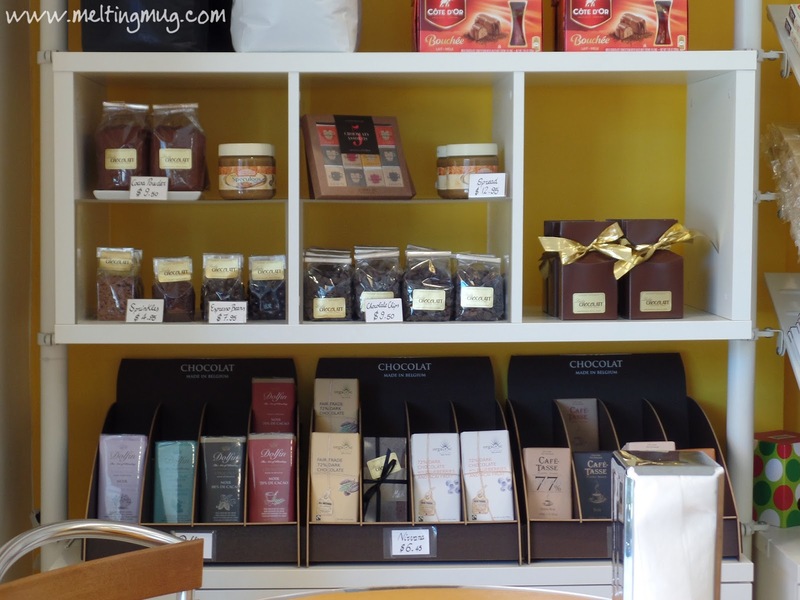 And as it turns out, it's becoming a bit of a hot spot for artisanal chocolate! 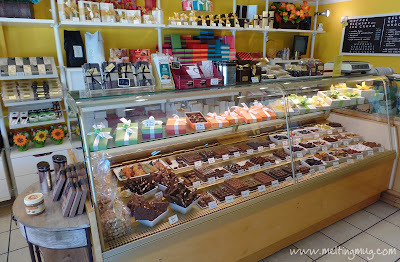 On a previous trip to Santa Barbara, we had discovered an amazing chocolate shop called Chocolate Maya. 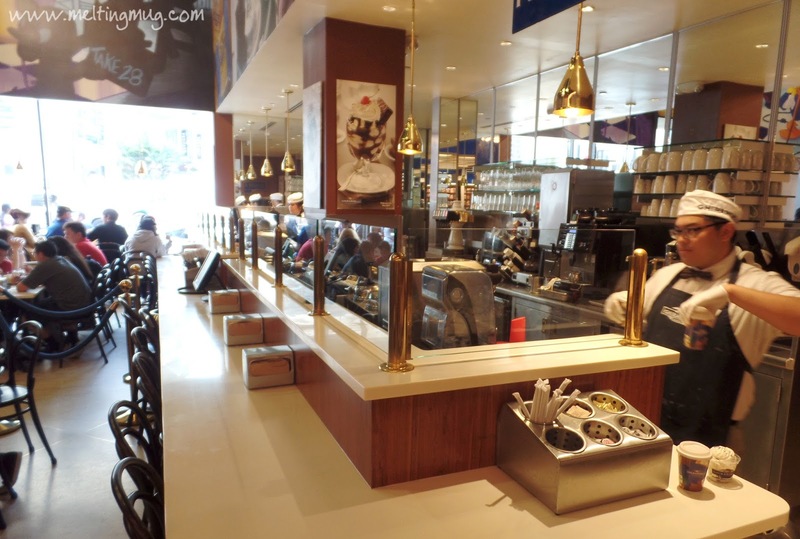 Nothing but artisanal chocolate from floor to ceiling, Chocolate Maya is kind of a ground zero for chocolate lovers. 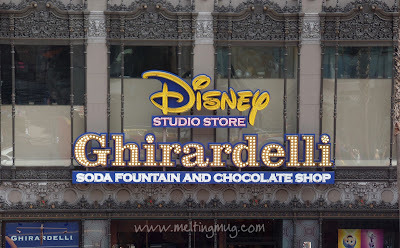 So of course, when we are in town, it's always on our list to visit. However, on this particular trip, we discovered another shop. Isabella Gourmet Foods is a great little grocery off of State Street. They sell really great local and artisanal products out of their very cozy shop. 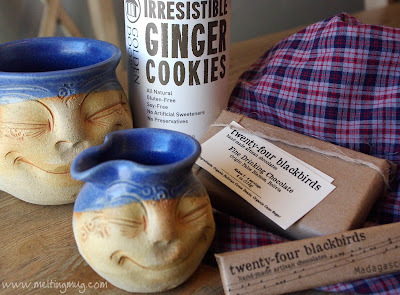 I picked up some twenty-four blackbirds drinking chocolate and a canister of Golden Door Ginger Cookies. Twenty-four blackbirds was started by Michael Orlando while he was busy working as a marine scientist. 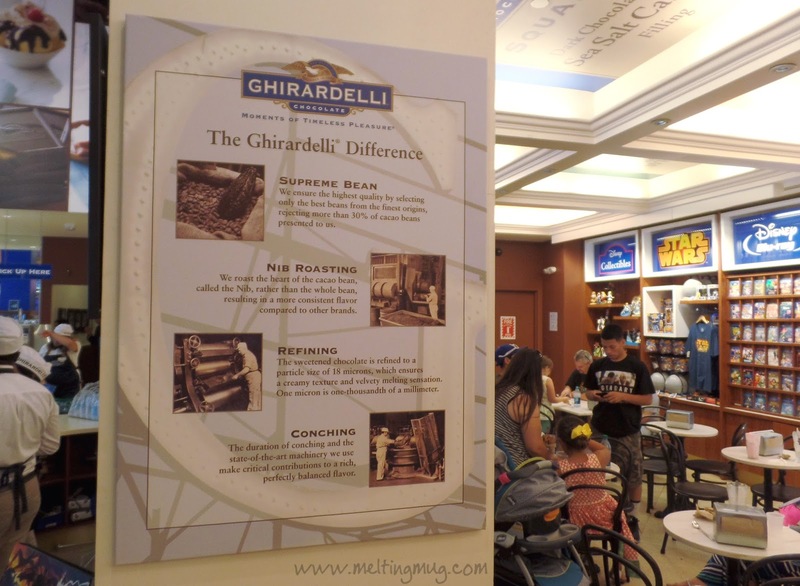 In a short time, the chocolate won, and he moved to making chocolate full time. It didn't take long for his small company to begin selling a drinking chocolate. 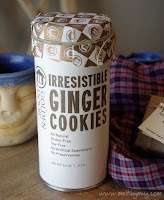 The ginger cookies were also made locally by an interesting company called Golden Door. Their website is a bit overwhelming. I can't tell what exactly they do. They seem to be a resort destination, they have a speaker series, they sell food products... a bit of everything, I guess. To complete the full Santa Barbara drinking chocolate experience, I picked up a handmade mug and creamer at another local craft store. 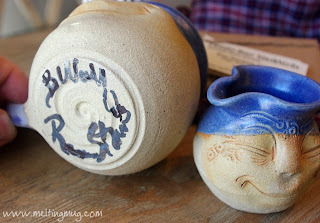 I sadly didn't get the woman's name who made them, and cannot read it from the bottom of the stoneware. I absolutely love the colors of them, and the faces are made completely by hand, with the designer using her fingers and fingernails to create them. Really beautiful work! So lets talk about that chocolate! It comes with an instruction card and some bits of information about how the chocolate was made. 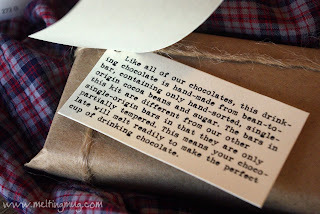 Hand wrapped in craft paper and tied with twine, the packaging is minimal and perfect. Their regular eating bars are decorated with bird artwork and molded with a beautiful leaf impression. Also on the card is instruction on making a chocolate syrup from the bars. 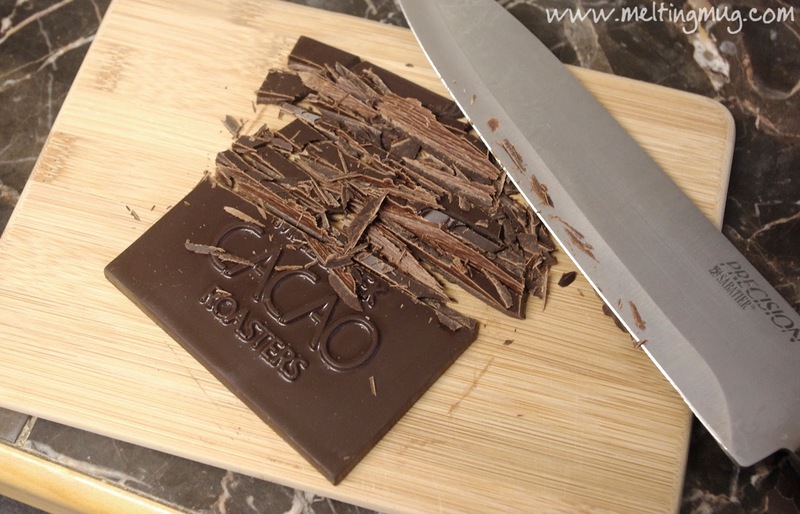 The bars are small, 1 ounce each, which lets you perfectly control how much you're going to make. Simple and to the point, the smooth, flat bars smell amazing as you unwrap them. 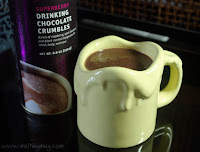 I made mine with 2% milk, and I used the creamer to bring along a bit of heavy cream, which I added as I enjoyed the drink, giving it a creamier, less concentrated flavor and bringing out different flavor notes. The cookies were the perfect snack to serve with it, as well. I'm not a huge fan of serving chocolate cookies or snacks with a chocolate drink, so the strong ginger flavor really paired well with it. 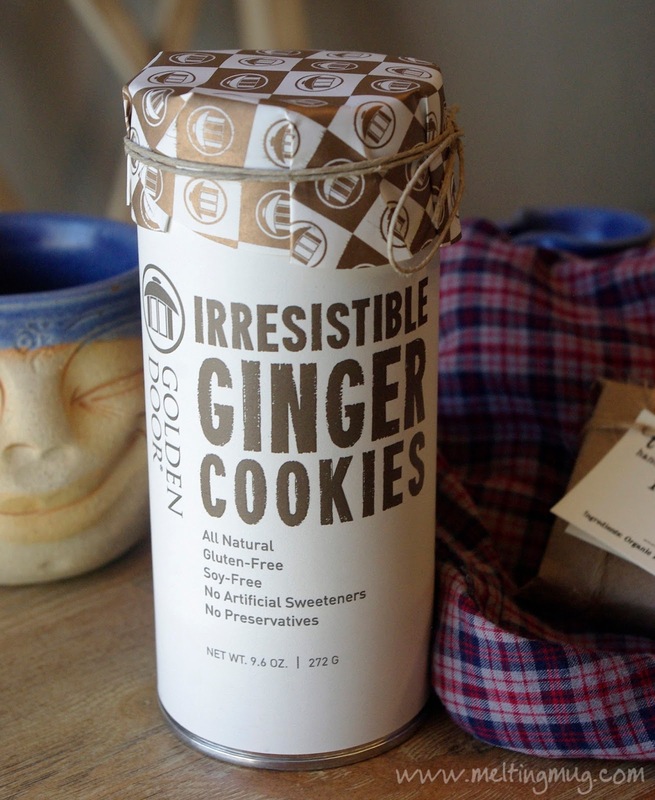 And the cookies are crisp, which, of course, is perfect for dunking! I can't recommend twenty-four blackbirds drinking chocolate enough. 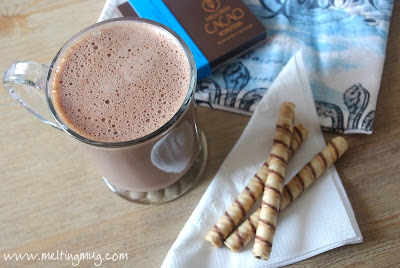 It's a really amazing drink, and is definitely helping to raise the bar of what should be expected of a hot chocolate. 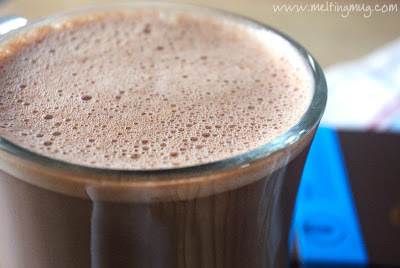 This is top-of-the-line hot chocolate, the exact kind of drink that made me realize everything that was wrong with hot cocoa from a packet. If you like hot chocolate, this absolutely cannot be missed. 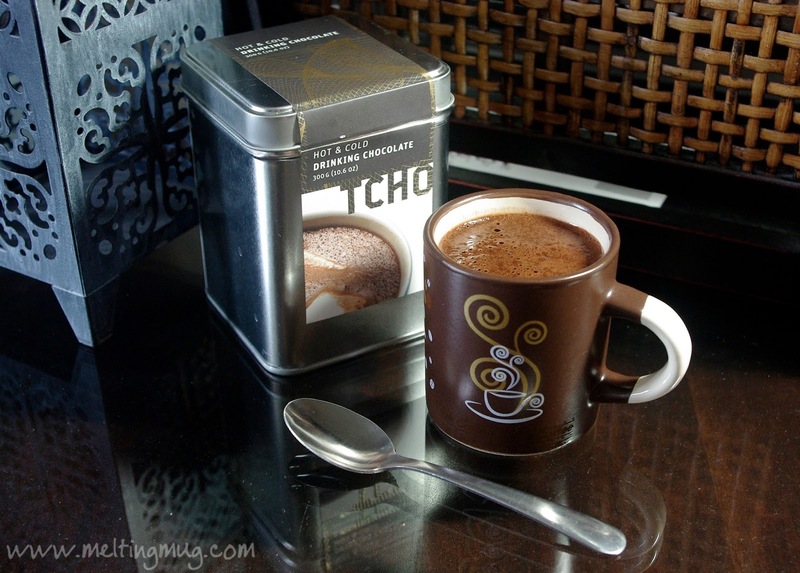 This time I'm taking a look at a couple selections from Tcho chocolate. 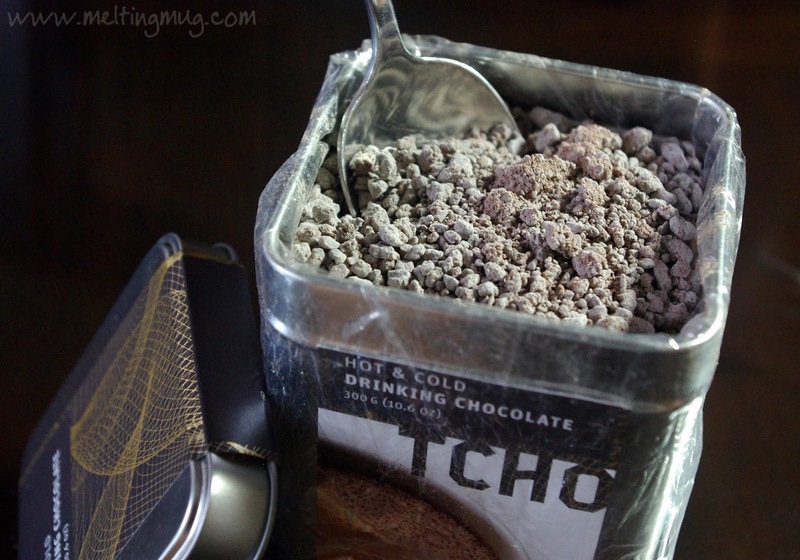 Tcho is a trendy chocolate maker in Berkeley, CA, with the slogan of "New American Chocolate". 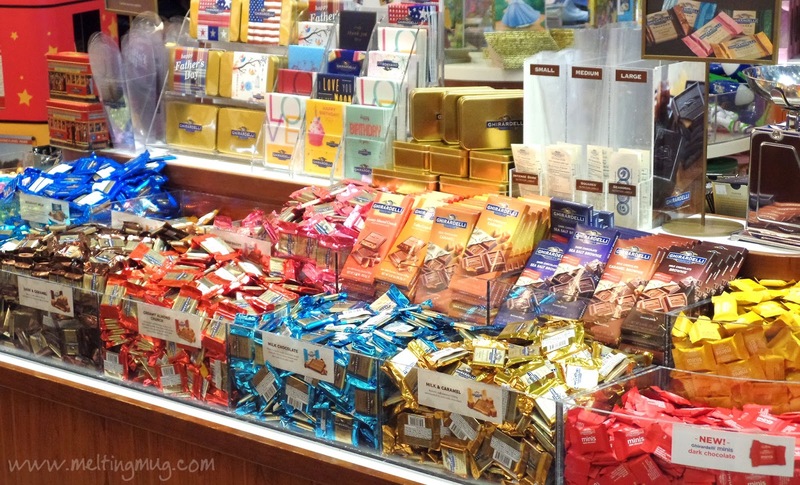 Their bars come in a huge variety of flavors. I wouldn't say they are one of my favorites, but I do buy their bars when I come across them, mainly because of the interesting, fun flavors. TCHO has some fascinating ties to the technology world. One of their founders, Timothy Childs, worked on vision systems for NASA's Space Shuttle, and their current CEO and President (Louis Rossetto and Jane Metcalfe, respectively) are co-founders of Wired magazine. Pretty cool! I've enjoyed their drinking chocolates for quite some time now, at least a couple years. Long enough that their packaging tins have changed design, in fact! The square tin is their older style, the cylinder is the latest. The flavors of Tcho's that I'm enjoying today are their Regular Drinking Chocolate and the Superberry Drinking Chocolate. Oddly, it looks like they don't sell the Superberry flavor anymore. Wonder why? I attempted to contact them to ask why, but haven't heard back as of publishing this review. I made a small portion, closely following the directions on package. 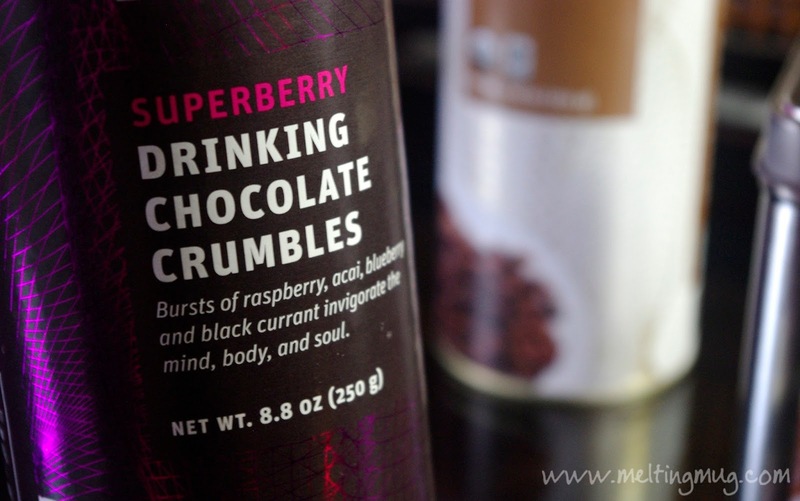 Superberry was very interesting, unlike most of the other flavored drinking chocolates I've had. 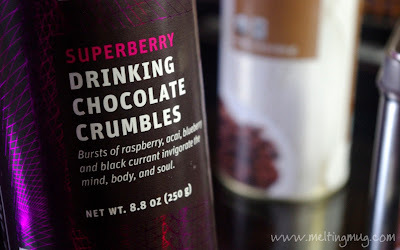 It tasted of deep, dark chocolate with an infusion of raspberries and blueberries. 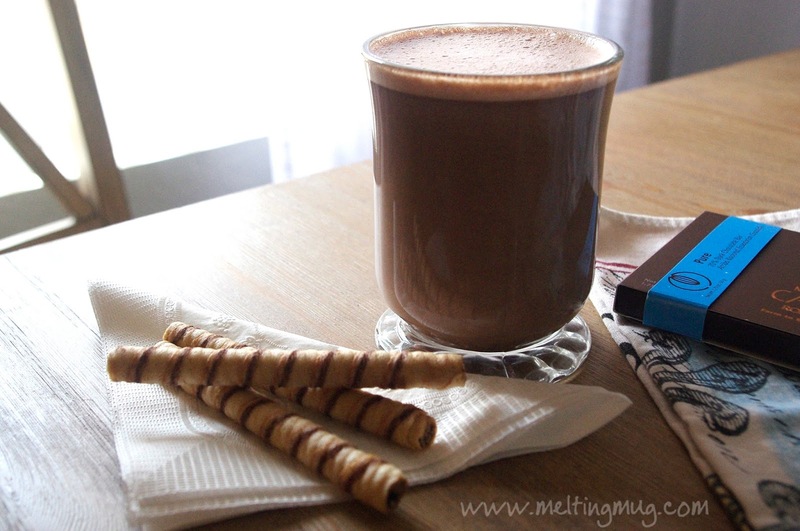 Definitely not your ordinary hot chocolate, which really makes it a shame that they no longer sell it. It's fruity, but not overwhelmingly so. I actually wish there was a bit stronger of a fruity tang to it. Still, a great variation on the standard hot chocolate. 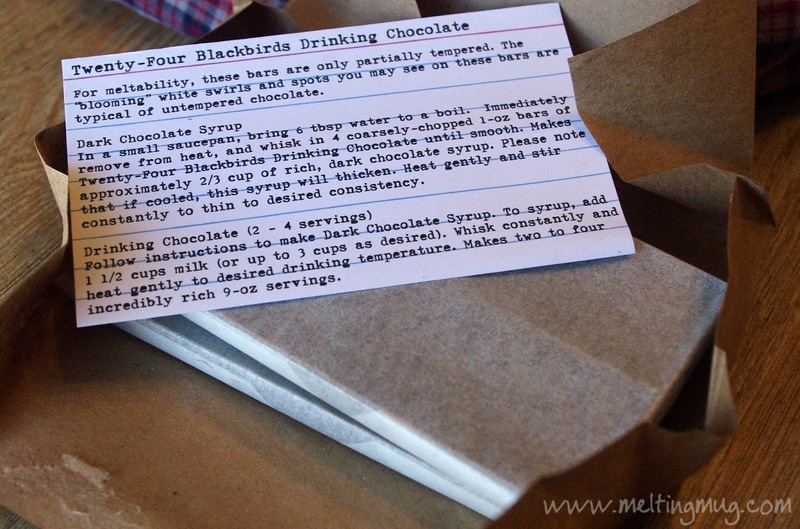 For their Regular Drinking Chocolate, there are multiple instructions for the drink. I did the instructions for the shot. Very rich and dark, with tangy notes, very slightly fruity, but not at all like the Superberry. Very tasty, but more than a shot of this would be a lot, unless you took your time drinking it and had something to dip in it. 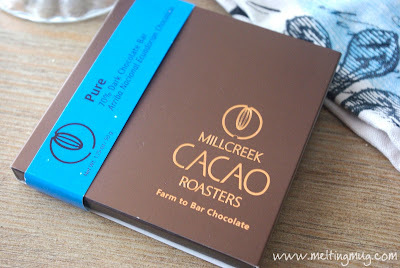 Drinking this chocolate definitely brings out the intense flavors and subtle notes in a way that you might miss if this was a bar chocolate. I also tried the drinking chocolate in a milder mix, using 1½ cups of milk and the same 3 tbsp of chocolate that the directions call for. 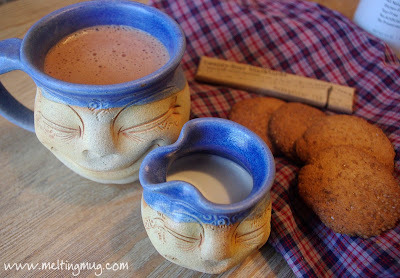 It created a very mellow hot chocolate. Very dark, not sweet at all, and none of the fruity tanginess that it had as a stronger shot. It is very good, especially as a morning drink. 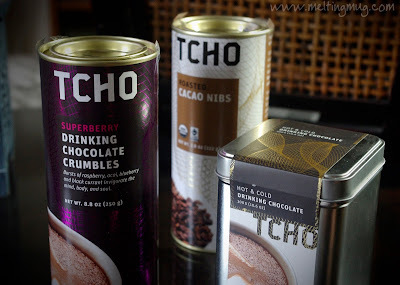 All in all, I would definitely recommend Tcho drinking chocolates. 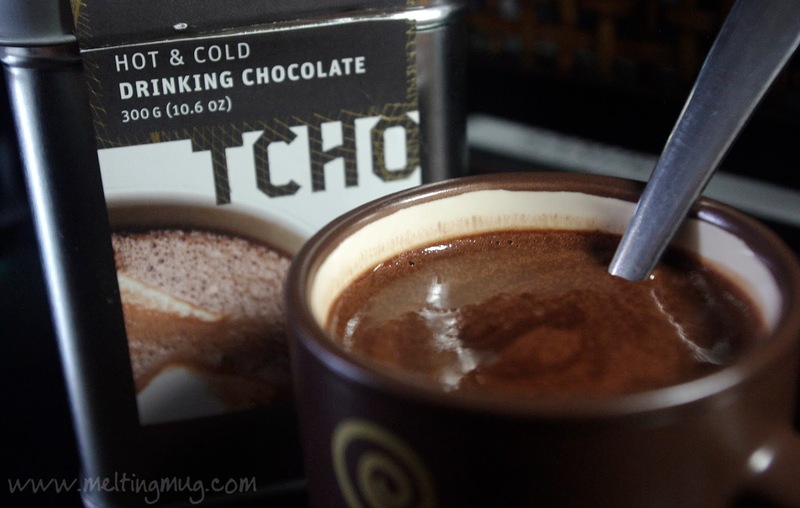 Delicious chocolate, definitely a treat if you're still only used to the powder packet varieties of hot chocolate. It's sad to see their Superberry off the market, as the world of quality drinking chocolates can certainly use all the gourmet varieties it can get. Maybe some online sellers still have it in stock? If you find it, give it a shot! We're pretty lucky here in Los Angeles. 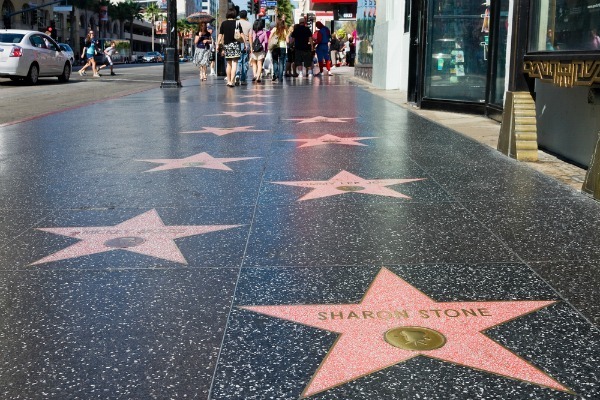 As an entertainment city, LA is one of the most popular tourist destinations in America, with Hollywood Boulevard being one of the biggest draws out here. It is, quite literally, Hollywood. It's where the famous Chinese Theater is with all the hand prints in cement. It's where the stars line the sidewalks. So naturally, we've got a lot of places for tourists to spend money. 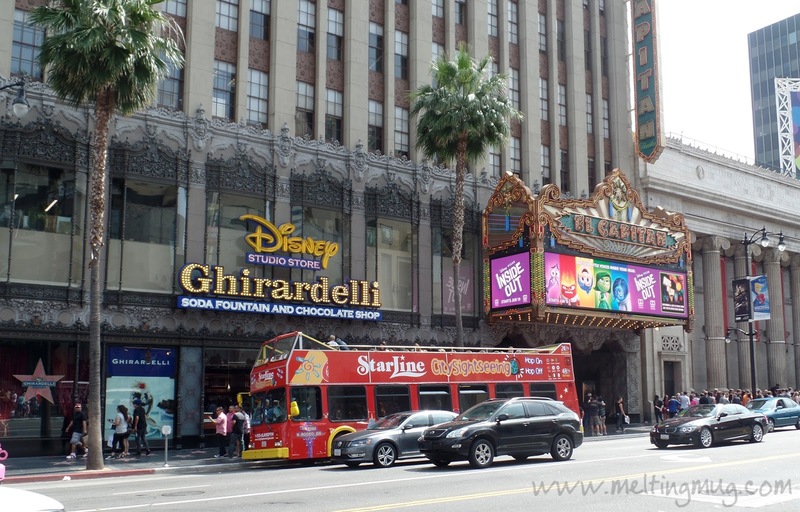 Almost directly across from the Chinese Theater is Disney's El Capitan Theater. 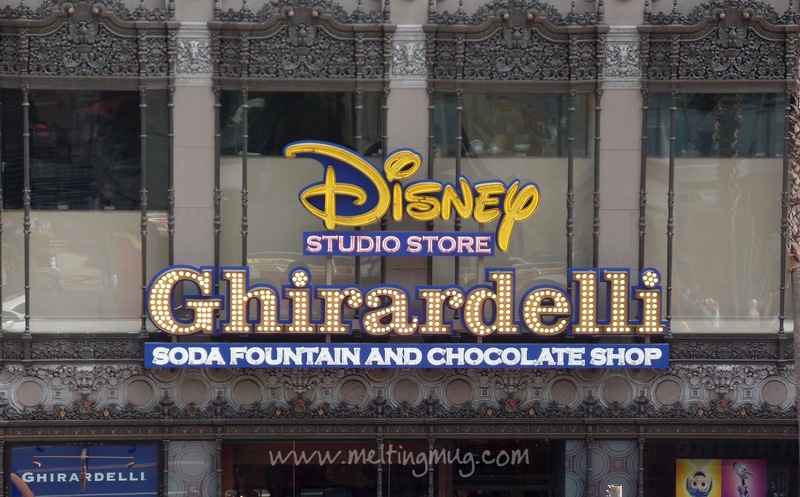 Next to that, there used to be a Disney Store. Much to my great pleasure, a couple years ago, they turned the Disney Store into a Ghirardelli Chocolate Shop! 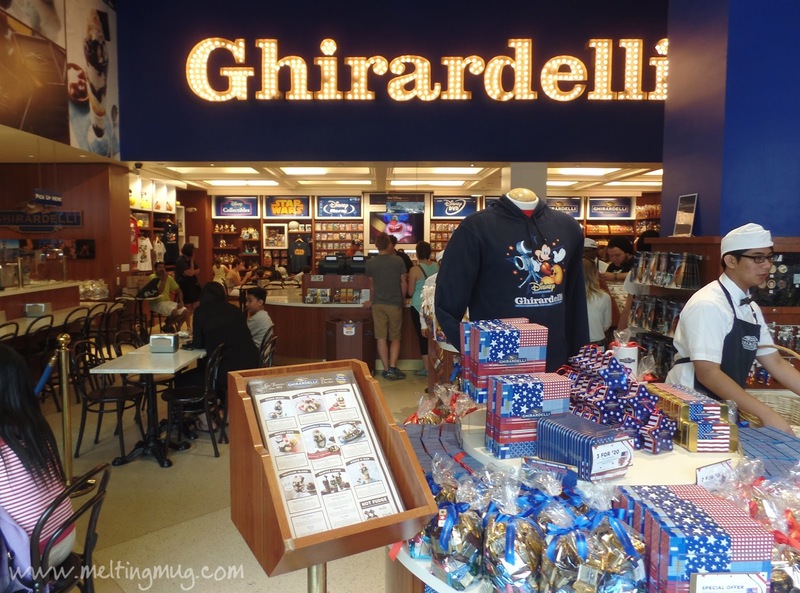 If you're a chocolate lover, there's no way you can walk by here without taking a peek inside. 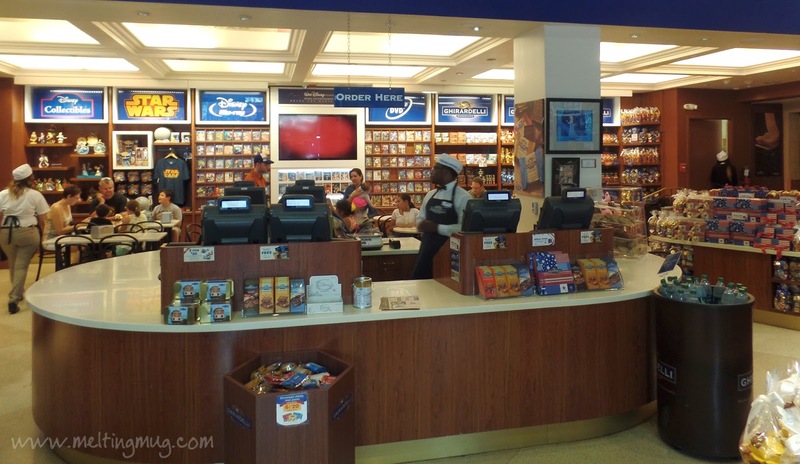 And once you're in, they hand you a free tasting square of chocolate to really trap you! Works on me every time. Ghirardelli is, in my opinion, one of the better mass market chocolate makers. 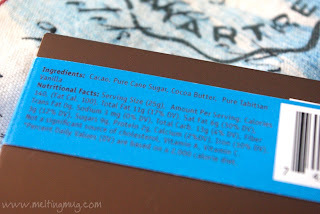 Sure, they are a huge company, but take a look at their ingredients list. They use quality stuff (mostly), and you can taste it. They don't overload their products with fake or overly processed ingredients. At least, not in their plain chocolates. 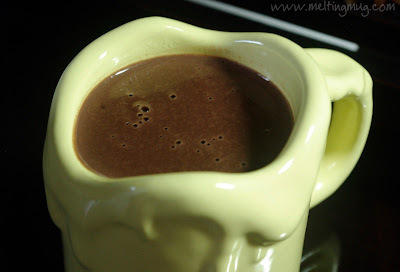 I've used their chocolates many times in making my hot chocolates, and using their squares is one of the easiest ways to have an exceptional dessert drink. 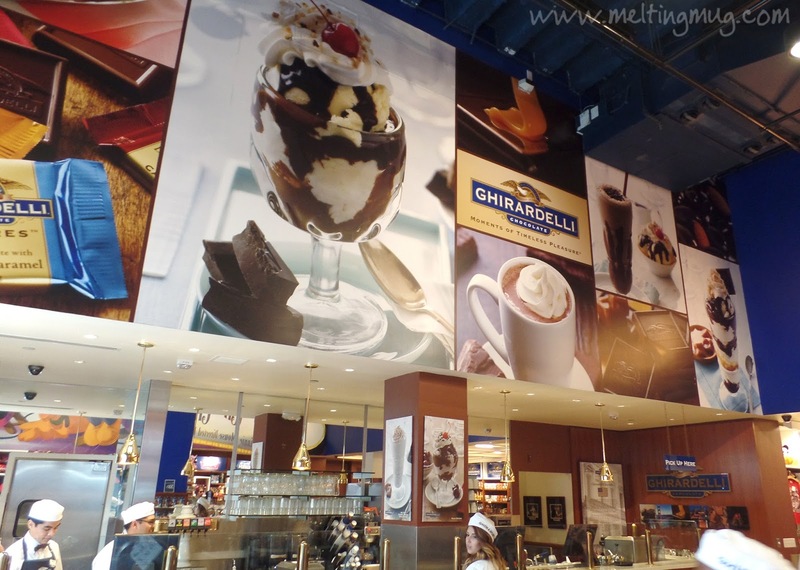 I was very excited when this store appeared, because now I'd get to experience what they believe to be the ultimate hot chocolate. 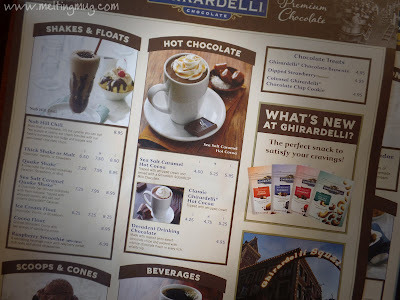 The menu has a couple hot cocoas and a drinking chocolate. Maybe they change this seasonally? That would be great if they did! On this occasion, I went with the decadent drinking chocolate. That's always my favorite, and the best way to just really enjoy the flavor of the chocolate. To wait for my chocolate I took a seat at a small table next to a column with this great poster explaining how chocolate is made. I love things like this. I think most people still just think of chocolate as coming from a big factory rather than from a plant in a forest. 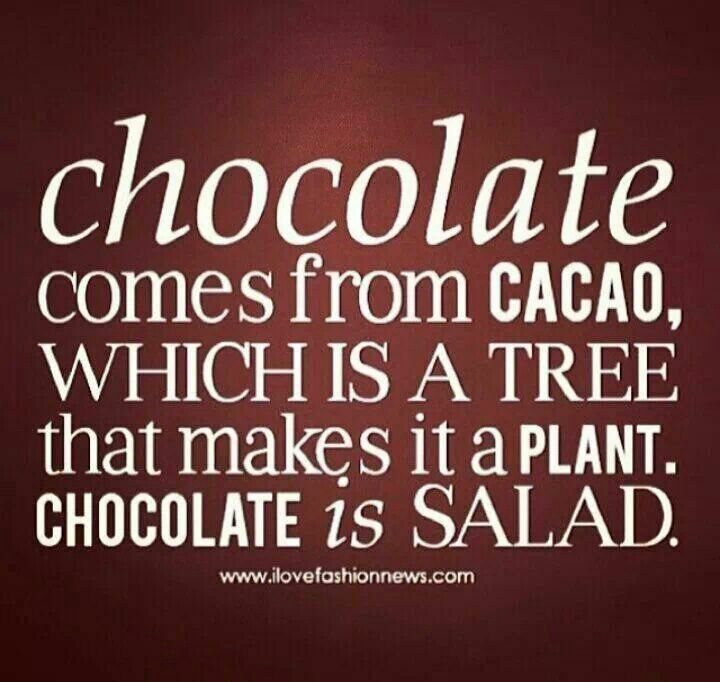 Chocolate really is just a plant, like a salad or a plate of broccoli. It doesn't become bad for you until you begin adding sugar (and other filler ingredients). My drinking chocolate was served in a small mug with nothing accompanying it. 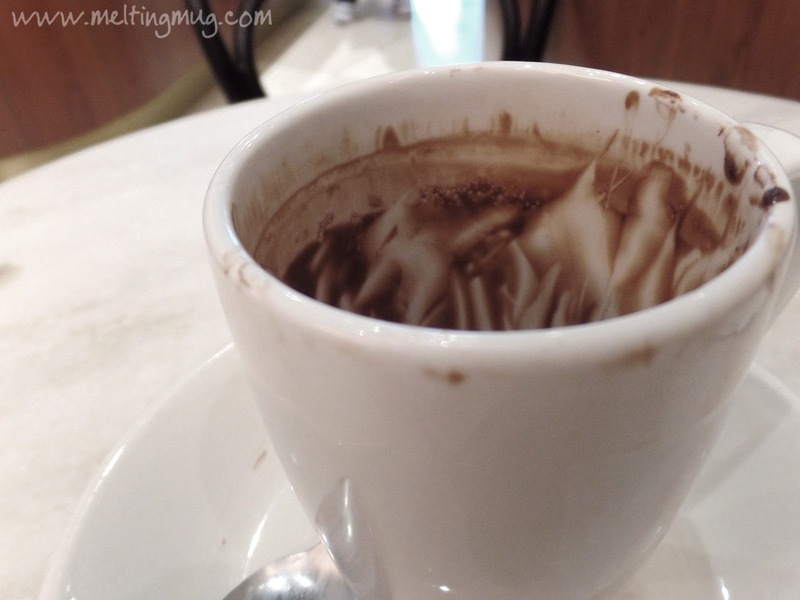 I could tell instantly that this was a real melted chocolate, just as described on the menu. That's always preferable to any kind of cocoa powder mix, and also explains why they didn't include a little square of chocolate on the side to enjoy with it, like they do with their sea salt hot cocoa. It was a very nice drink, and it wasn't served too hot, so I was able to start in on it as soon as it arrived. It was sweet and thick, and while overall it was a bit more on the sugary side, it actually had unexpected notes of smokiness. That was very nice, however, overall the experience was more akin to eating a candy bar than having an artisanal hot chocolate. By the time I was close to finishing, it was getting too sweet, but thankfully, the portion size was just right, and it ended perfectly. 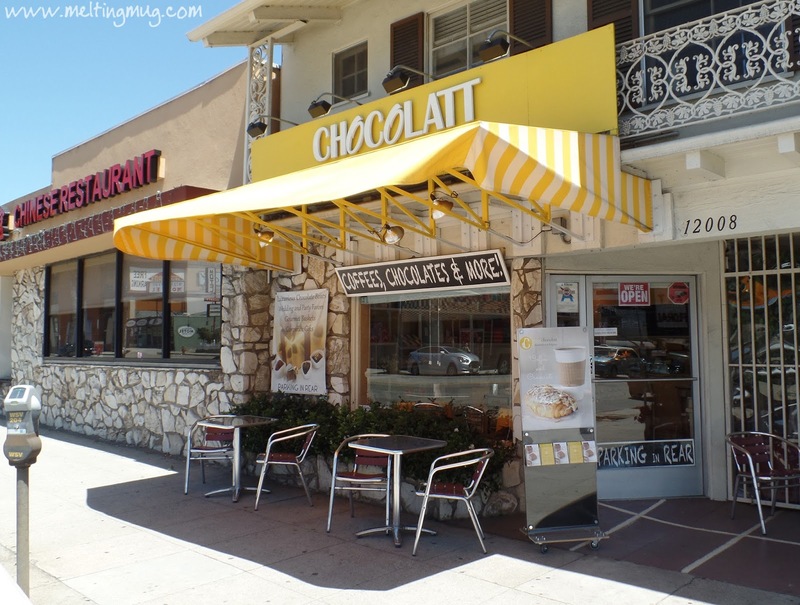 Worth a stop if you're in Hollywood and in the mood for a better-than-coffee-shop hot chocolate! 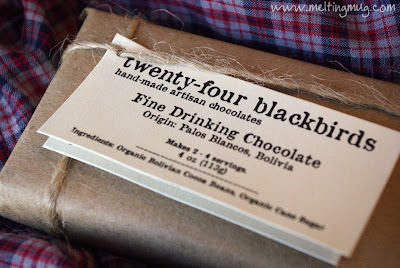 One of my favorite ways to enjoy chocolate is by creating drinking chocolates from artisanal chocolate bars. 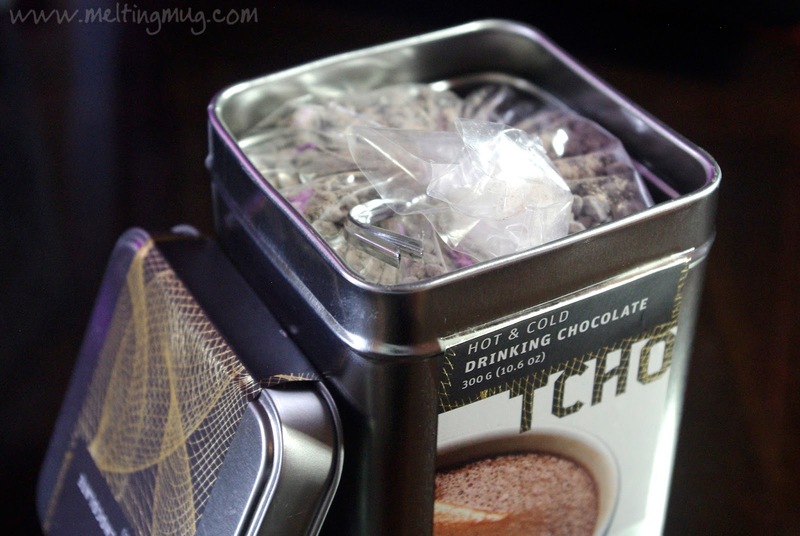 Not only is a great way to experience the subtleties of the chocolate someone spent a great deal of effort creating, but it also gives you a much more enjoyable hot chocolate experience than the typical overly-sweet cocoa packets. I hadn't heard of Mill Creek until recently, but I always buy new bars when I find them. I'm very glad I picked this one up. I thought this chocolate delivered on every level. Clean and elegant packaging, with a beautiful bar inside. 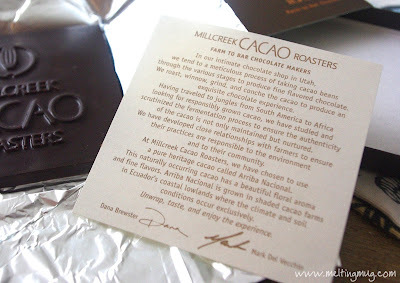 Mill Creek Cacao Roasters was founded in 2011 in Salt Lake City, UT, by Mark DelVecchio and Dana Brewster. This bar is made with Ecuadorian Arriba Nacional cacao, which, if you taste it (and you should! 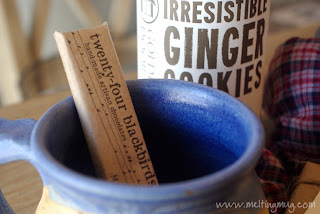 ), has plenty of flavor nuances. It's also an heirloom cacao, recognized by the Heirloom Cacao Preservation Initiative of the Fine Chocolate Industry Association in New York. 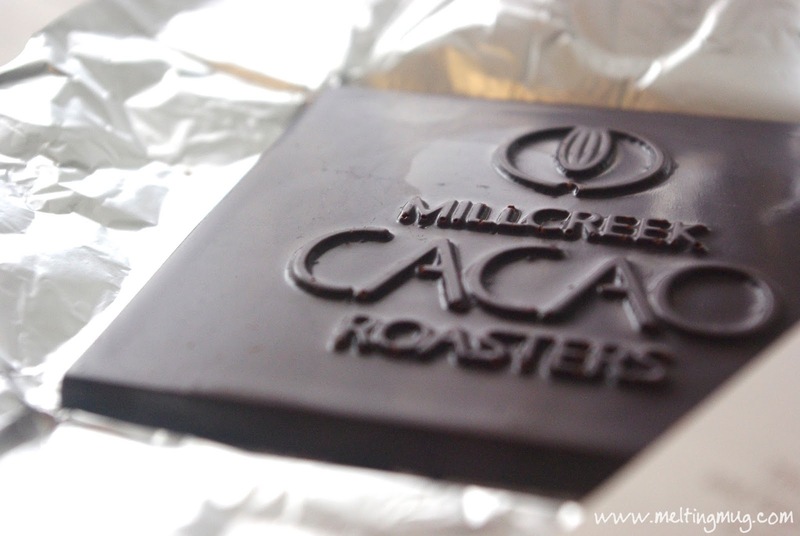 That's a long way of saying this cacao is widely recognized as having a very fine flavor that is worth preserving. Very simple ingredients that I think come through very nicely. The added cocoa butter, being a fat, helps make the drink a little smoother and creamier. Also in the package is a little card from Dana and Mark telling you about Mill Creek and this specific cacao. It's a nice touch, especially if you're into that kind of thing. And with chocolate this good, you should be. 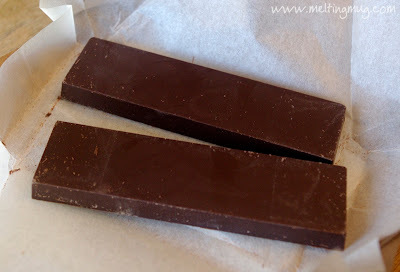 I chopped up the bar for easier melting. 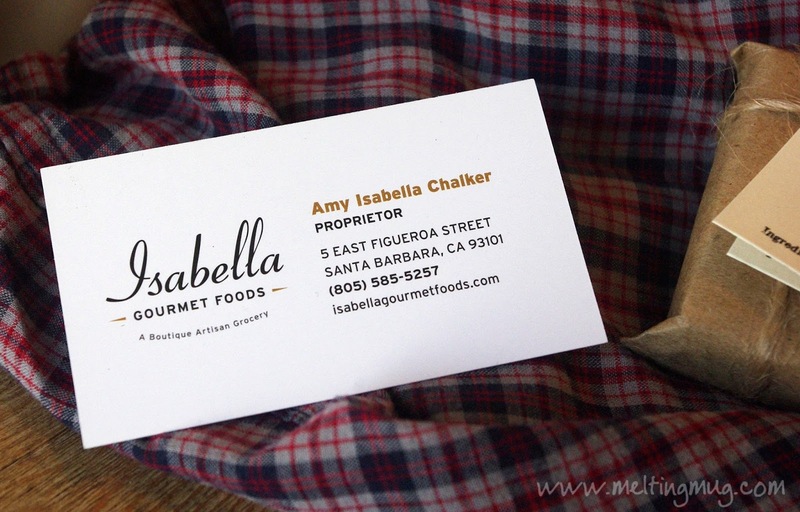 Be sure to sample it as you're chopping it up. It's a great way to preview what the drink will be. This bar is a bit sweeter than I thought it would be, since I'm used to 70% bars being on the bitter end of the flavor spectrum. I used about 1½ cups of 2% milk. If you have whole milk, that's fine too, but try not to use half & half or heavy cream for this one. With a fine chocolate like this, the thicker the milk you use, the more the flavor of the chocolate will be muted. 2% will really let the flavor come through. The drink is great! 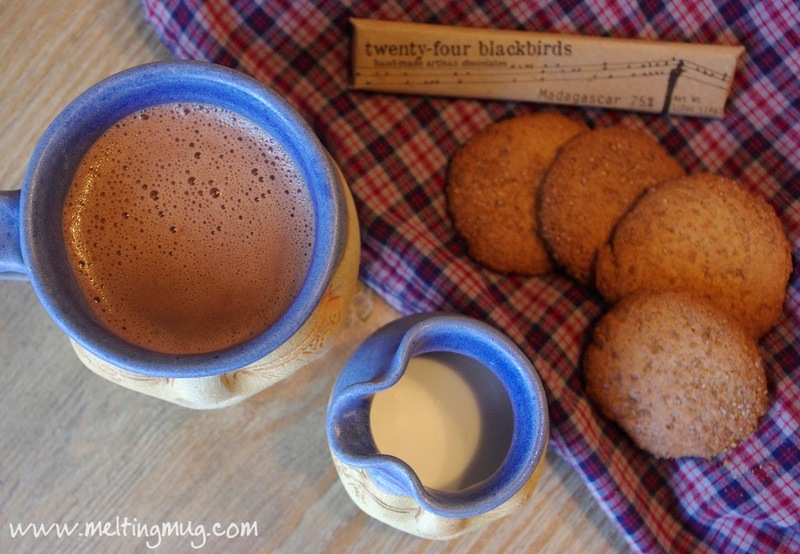 Chocolatey and rich, but not too dark. If I hadn't made this myself, I would have guessed it was made with a milk chocolate bar, not a 70% bar. You can also choose to serve yours with gourmet marshmallows or homemade whipped cream, but I decided not to garnish with anything. I wanted to really enjoy the chocolate Mill Creek created, and I certainly did.